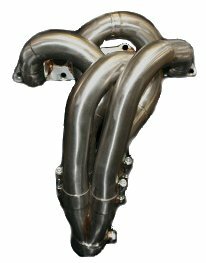 This is a new ceramic coated rams horn exhaust manifolds. 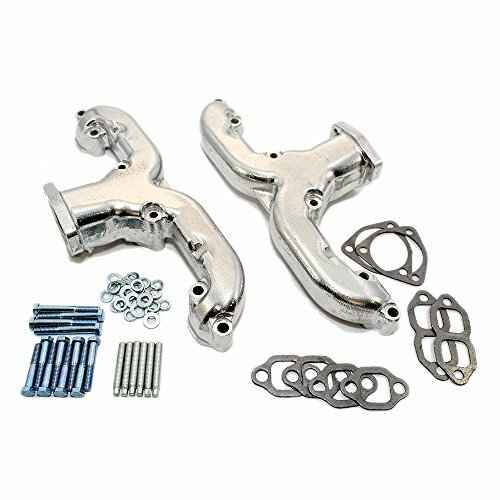 Easy bolt on installation, offers the vintage look and performance you need if you don't want full length headers. Ceramic finish comes with what you see in the picture. 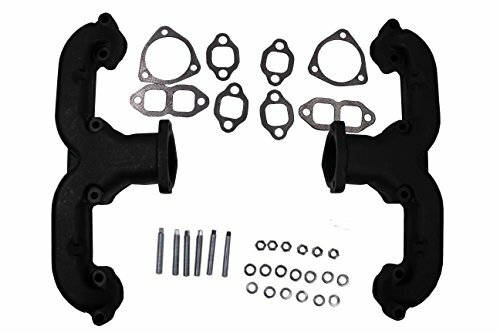 Fits most small block Chevy applications optimal clearance for angle plug heads, it comes complete with hardware kit. This is for a Pair of manifolds. Port size 1.347" square and collector size 2.5". 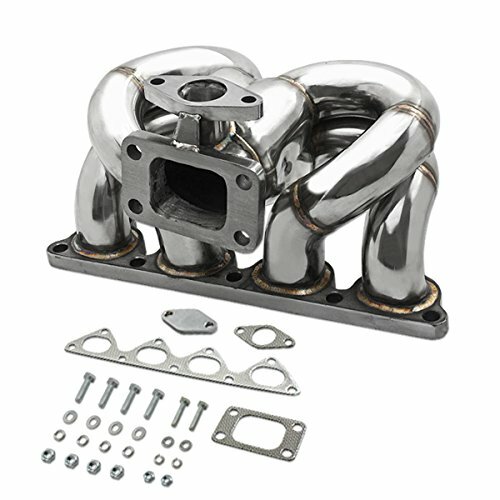 This manifold will give you looks and performance never before available in cast iron. 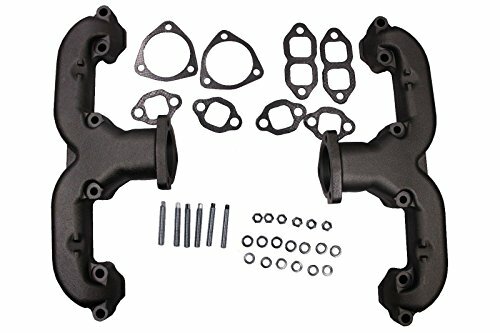 Provides a tight-fit for steering and clearance issues and flows better than original Corvette manifolds. 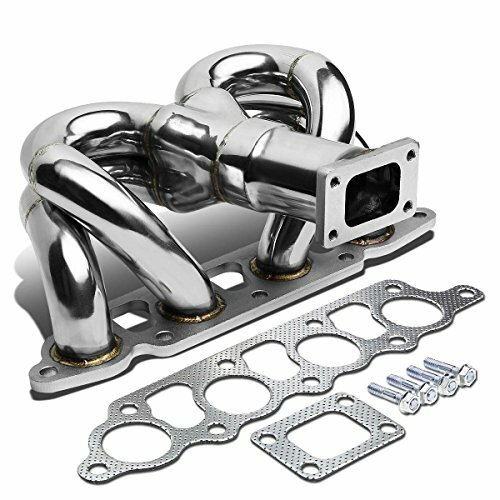 Manifold gives the same performance as tube headers with classic ram horn styling. 2-1/2" collector uses standard reducers or tight tube extensions. 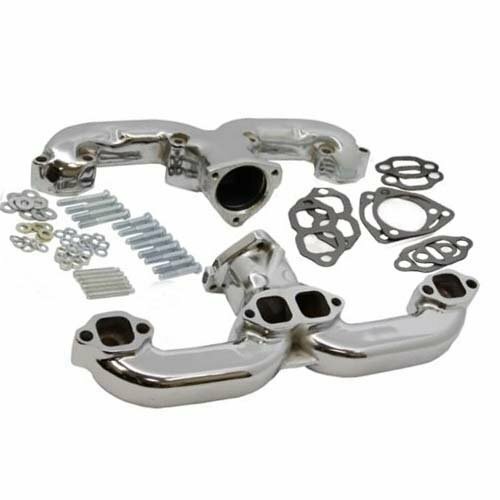 Includes gaskets and bolts shown in the picture. Note: The port size is square and large enough for most round port heads. It measures about 1-1/4" and should be sufficient for most small block cylinder heads. Will clear most straight and angle plug heads. 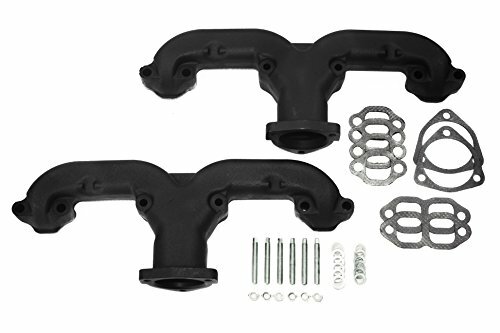 Will not clear original-location steering boxes in 1935-1940 Fords or 1955-1957 Chevy cars. Will not work with GM "fastburn" heads. 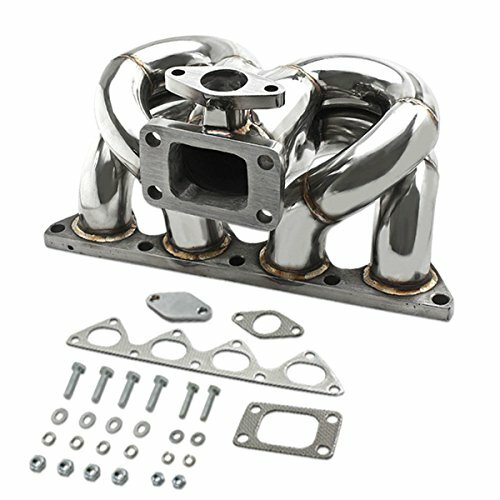 These fit great in a variety of street rod and vintage truck applications (particularly those with Mustang II-type suspensions). This is a high quality set of ram horn headers. 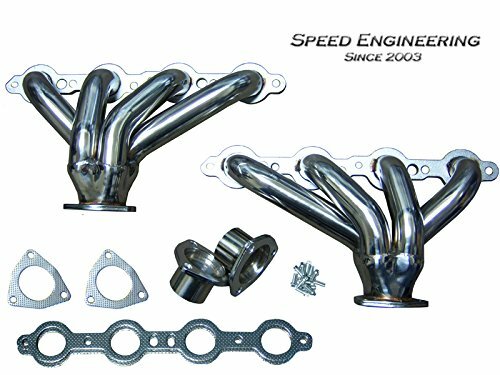 Drag Race Header for Honda B Series Engines. Copyright © Wholesalion.com 2019 - The Best Prices On Ram Horn Headers Online.